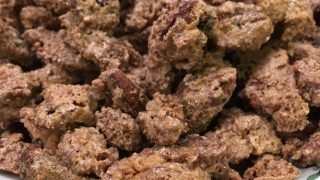 If you like candied pecans, you’re gonna fall in love with this easy and quick cinnamon candied pecans recipe. The combination of a deep brown sugar flavor with a cinnamon twist melts in your mouth. They are easy and quick to bake, and make great gifts–if you don’t eat them all first! 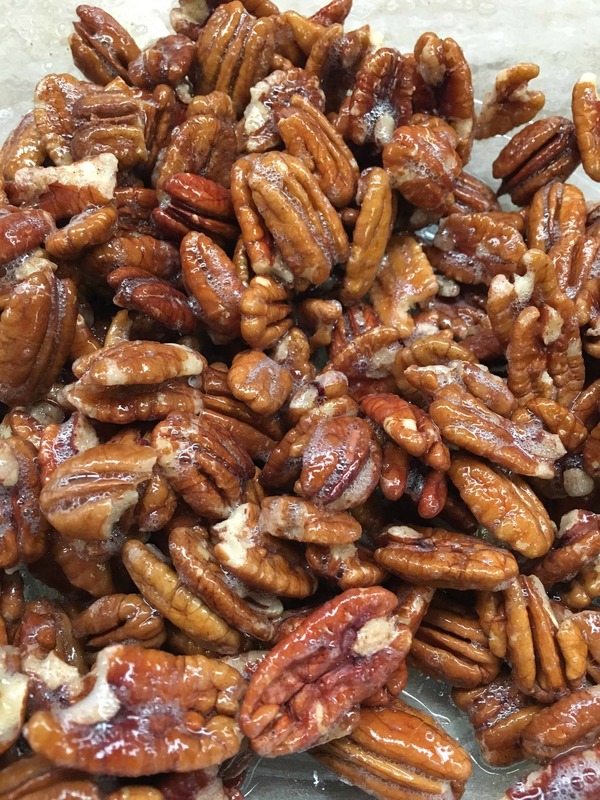 Candied pecans are always a treat around the Thanksgiving and Christmas holidays, and they are perfect on a salad any time of year. I love the sweet and crunchy taste with the nutty flavor of pecans. My husband and I used to work for a company that built natural gas pipelines. We worked a job in Waynesboro, Georgia, and rented a cute little duplex with a row of pecan trees out front. But…we weren’t there at the right time, so we didn’t get any pecans. 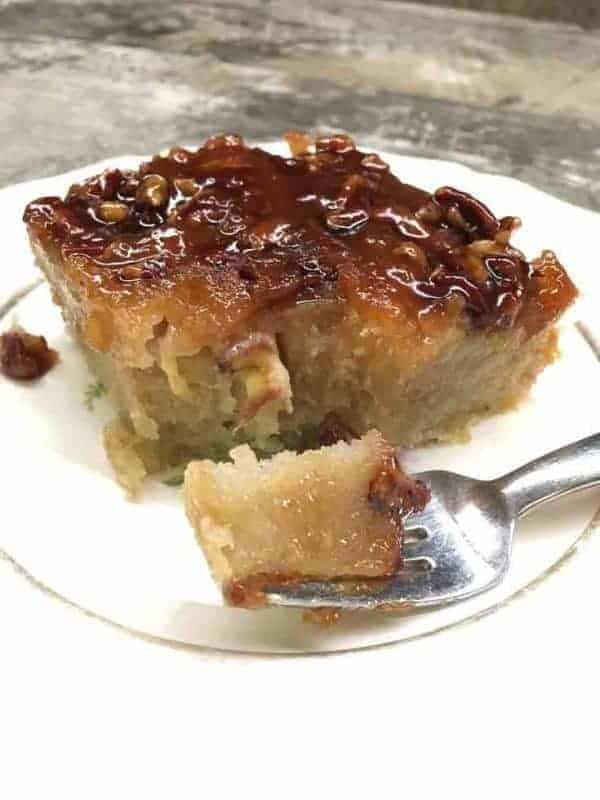 Wouldn’t that have been wonderful to walk outside and get some pecans, especially for this sugared pecans recipe? Oh, a girl can dream. 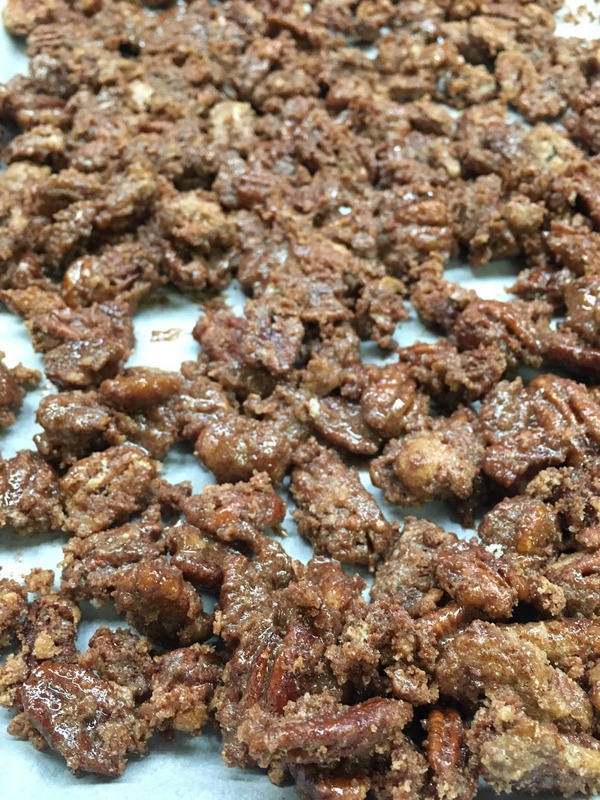 How Do You Make Candied Pecans? For this candied pecans recipe, I bought the pecans at Aldi’s. They sell them for a great low price. 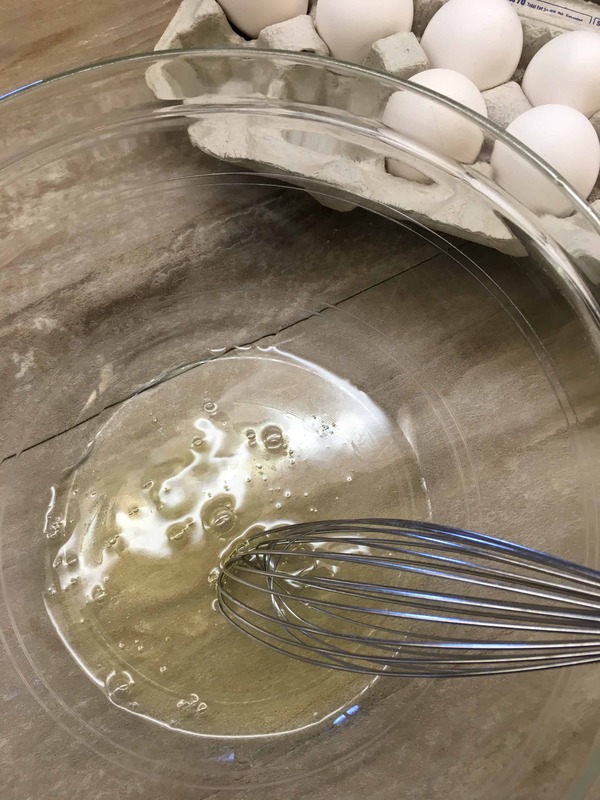 Add two egg whites to a bowl and whisk until it’s frothy. Next, add the vanilla and mix in. Add the pecans and toss them around until they are completely coated with egg and vanilla mixture. That way the sugars and cinnamon will stick well. Even with just egg whites, the pecans are already looking pretty, don’t you think? Next, add the white sugar… Are you getting excited? This looks like snow. It’s the only type of “snow” I will get down here in Florida. 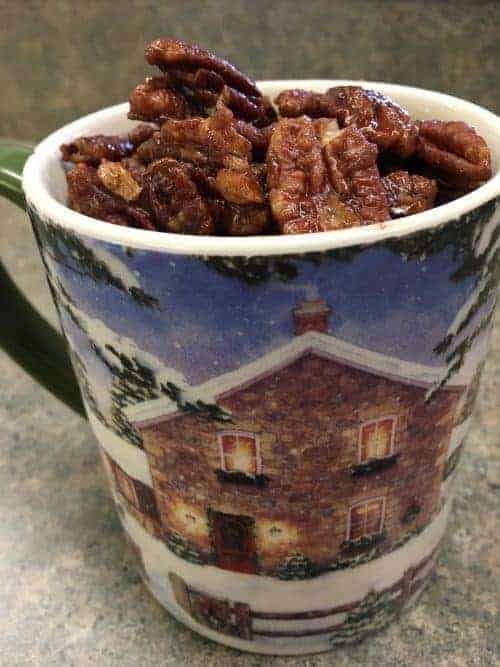 😉 Give it a good stir and coat the pecans. Add the brown sugar. The brown sugar is what is going to give the candied nuts that deep flavor. Give it a stir again and get the pecans fully coated. 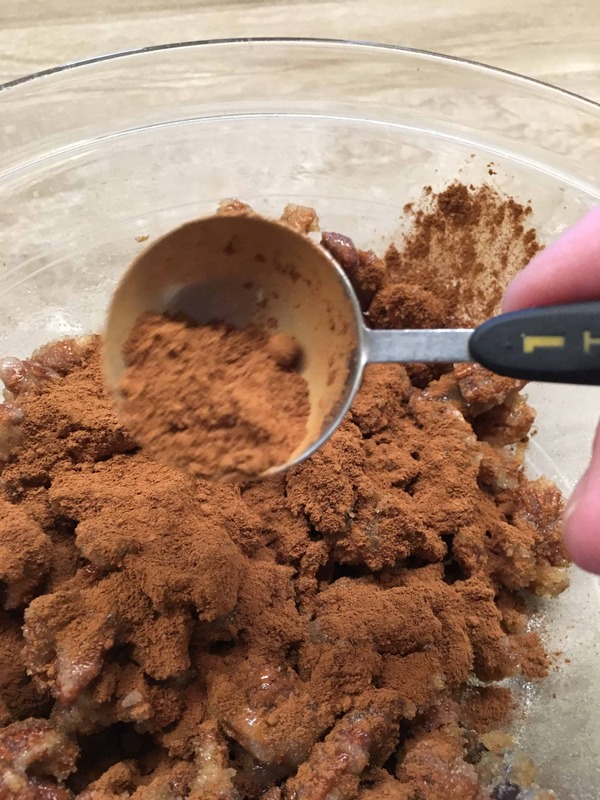 Finally, add the cinnamon and toss them again to cover them completely. It smells so good. And when you bake them, they are really going to make the kitchen smell like Christmas. Once you’ve coated the pecans, put them on parchment paper, which is safe in the oven. I started to put them on tinfoil and I don’t even know what I was thinking because they will really stick to that and it’s not a pretty situation. Be sure NOT to use wax paper, as it will really stink up the place and smoke up the kitchen. I transferred my pecans over to parchment paper, on top of a cookie sheet and spread them out. 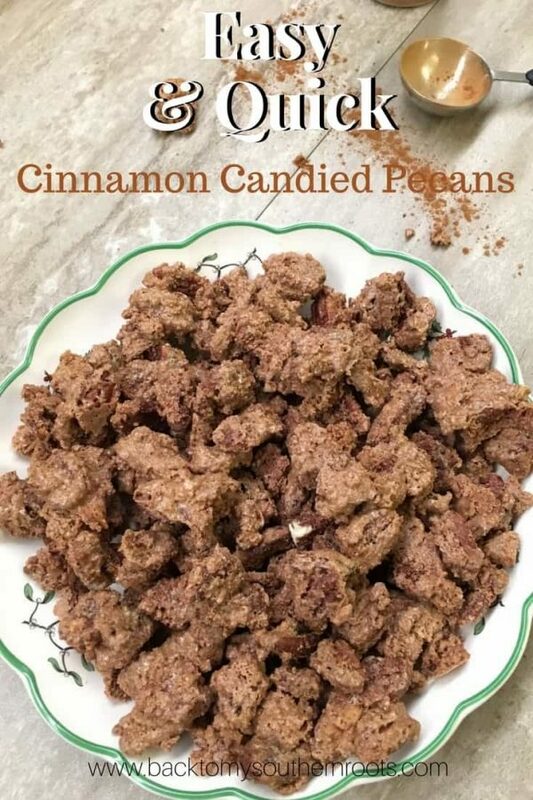 Bake the cinnamon candied pecans at 300-degrees for about 15 minutes and then take them out and give them a little stir to flip most of them over and cook on the other side (as best as you can). Stick them back in the oven and bake for 15 more minutes. 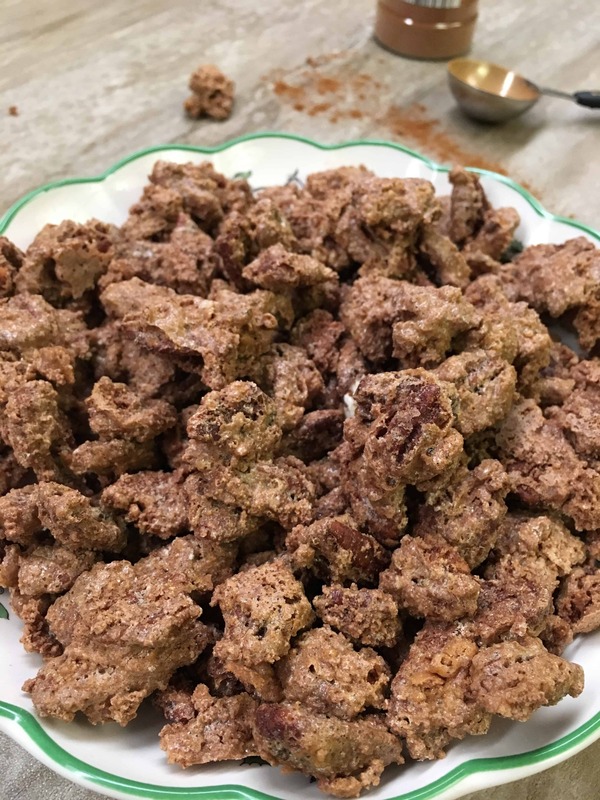 Once cinnamon sugar pecans are cooked and “dry-looking,” they are done! Let them cool, as tempting as it is to eat one. I did and I burnt my tongue. It was almost worth it. Well, ok, it was worth it. 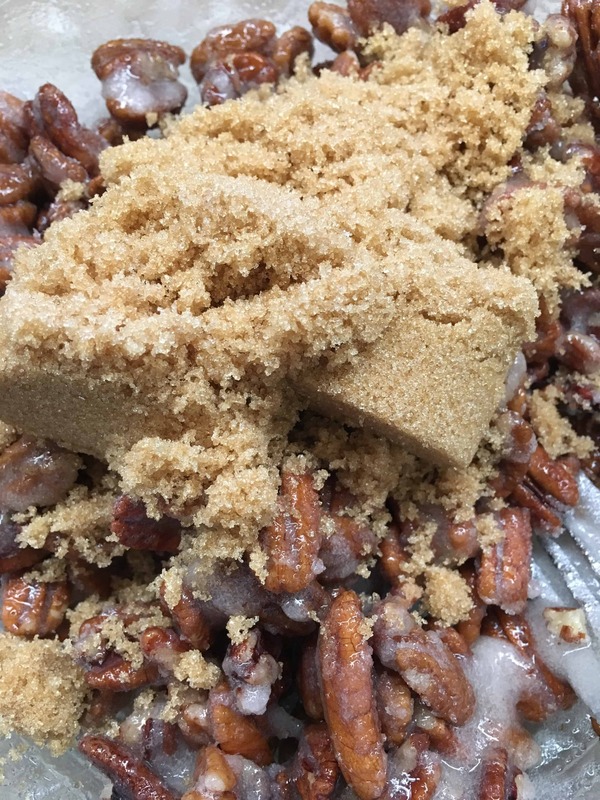 Can you freeze sugar coated pecans? Yes! You can freeze sugar coated pecans. After they are cooked and completely dry, you can place them in a freezer-safe Ziplock bag and save them for up to two months. Be sure to purge the air out of the bag, before sealing, to keep them as fresh as possible. 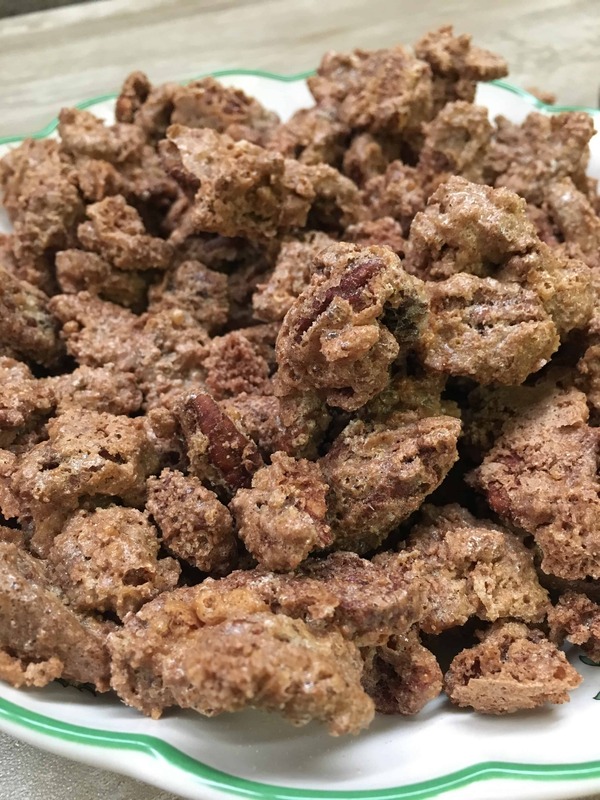 If you like candied pecans, you're gonna fall in love with this easy and quick cinnamon candied pecans recipe. The combination of a deep brown sugar flavor with a cinnamon twist melts in your mouth. They are easy and quick to bake, and make great gifts--if you don't eat them all first! Add the eggs whites to a medium-sized bowl and whisk until frothy. Add the vanilla and whisk in. 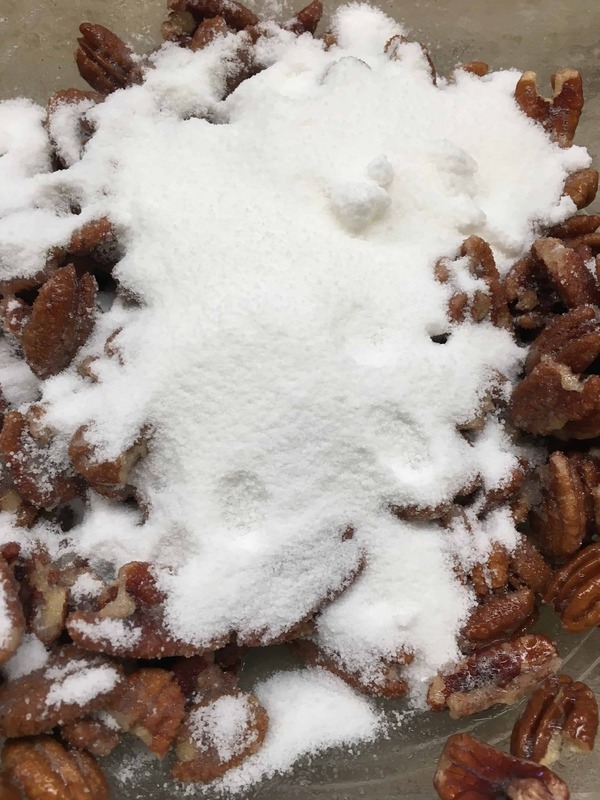 Add the white sugar and stir until all of the pecans are coated. Add the brown sugar and stir until coated. Add the cinnamon and stir until coated. Spread the pecans out on a cookie sheet covered with parchment paper. Bake for 15 minutes and remove from the oven. Give the pecans a stir and return to the oven. Bake 15 more minutes until pecans are "dry" and cooked. Place the pecans on parchment paper before baking in the oven. Do not use tin foil, as the pecans will stick. Do not use wax paper, as it will burn in the oven (and stink).